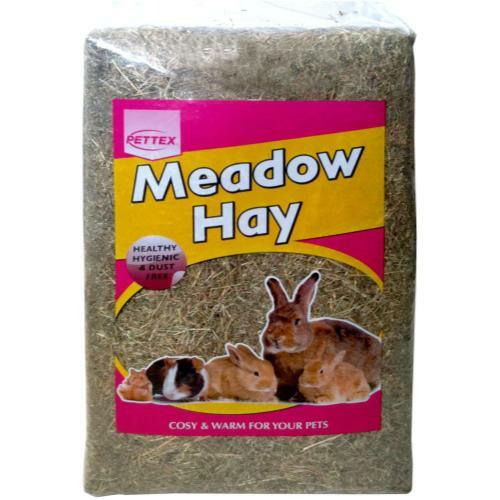 Pettex Compressed Meadow Hay is farm fresh pre-packed Meadow Hay. It is perfect bedding for rabbits, guinea pigs and other small animals as it is warm and cosy and contains an assorted range of grasses. Your small animal is also able to nibble on this hay throughout the day providing it with a source of natural viatmins!